Now Watch the CW Shows on Hulu. The Hulu live TV service adds the CW TV. 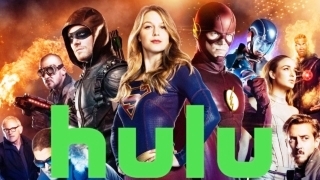 The CW TV channel has joined the ranks of Hulu channels offered by top live TV service provider Hulu as part of its new live TV service. The network, jointly owned by Warner Bros. and CBS Corp., becomes the fifth and final transmission property to be added in the coming months. The pact will give subscribers access to both the CW shows and primetime network series, including "The Flash" as well as local programming. "The CW has attracted younger audiences to live television, so we are excited to offer the network through the new Hulu live service," said Tim Connolly, Senior Vice President, Strategic Partnerships and Distribution. "The CW TV is excited to be a part of Hulu's innovative live TV service," said Chris Brooks, Executive Vice President of Network Distribution, The CW. "This new partnership fosters our goal of expanding our audience across digital platforms."